Not only is having a water heater essential to your home, but having the right water heater properly installed is just as important. After all, a reliable water heater brings peace of mind while keeping your wallet in check (and in some cases, provides endless hot water). A traditional tank water heater uses either electricity or gas and usually lasts between eight and 12 years depending on the water heater’s maintenance, water usage, and quality. These types of water heaters heat and store water in a tank until it’s needed. Over time, tank water heaters are prone to sediment buildup as minerals form on the sides of the tank. If left unfiltered, these minerals create a barrier that can cause damage and affect a water heater’s performance. Instead of heating and reheating gallons of water every day, a tankless water heater works by flash-heating water only when it’s needed. Tankless water heaters also provide an endless supply of hot water with reduced energy costs and typically last twice as long as tank water heaters. At Aqueduct Plumbing Company, we know all about selecting, installing, and maintaining all types and brands of water heaters. We’ll help you determine the best water heater system for your home and your family’s needs. We’re also proud to offer some of the best names in the business when it comes to traditional water heaters and tankless water heaters. When it comes to traditional water heaters, we tend to install products made by Rheem or Bradford White, but we’re happy to install any brand of your choice. 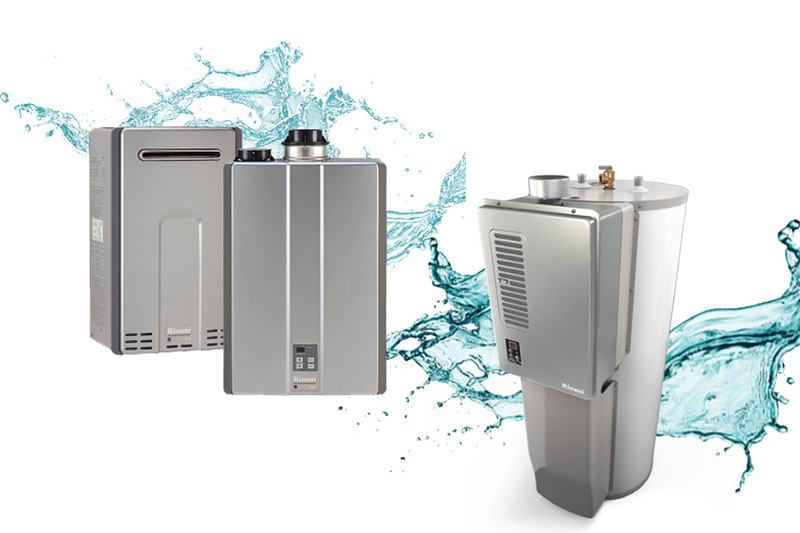 And though we have access to just about any brand of tankless water heater, we tend to focus most of our experience on tankless water heaters provided by Rinnai, Navien and Noritz. Would you enjoy having hot water instantly delivered straight to your showers and sinks as soon as you turn the faucet? Try a convenient water circulating system that can be paired with new installations or with your existing water heater. And you can finally get that master tub of yours into play with a hot water circulating system, and you’ll never have to worry about running out hot water again. Imagine coming home after a long day and soaking away your aches, pains, and stress from the daily grind. The importance of flushing and cleaning your hot water tank? Contact us today at (281) 488-6238 for a free estimate or if you have questions about water heaters or hot water circulating systems.